Ah, yes. Another glorious Saturday. The weekend is upon us, dear friends, let’s make the best of it! And if you have no plans yet, you should plan on making this bread. Because it’s dang good, that’s why. I plan on spending my weekend with my awesome mom who’s visiting, and watching the series finale of LOST tomorrow (O. M. G. I cannot wait!). If anything, at least reading the letter I wrote to congratulate Cinnamon and Sugar on their marriage should intrigue you (yes, I am wooing you with the crazy things I do, like write letters to inanimate objects). So check out my newest post on Tablespoon.com, already! 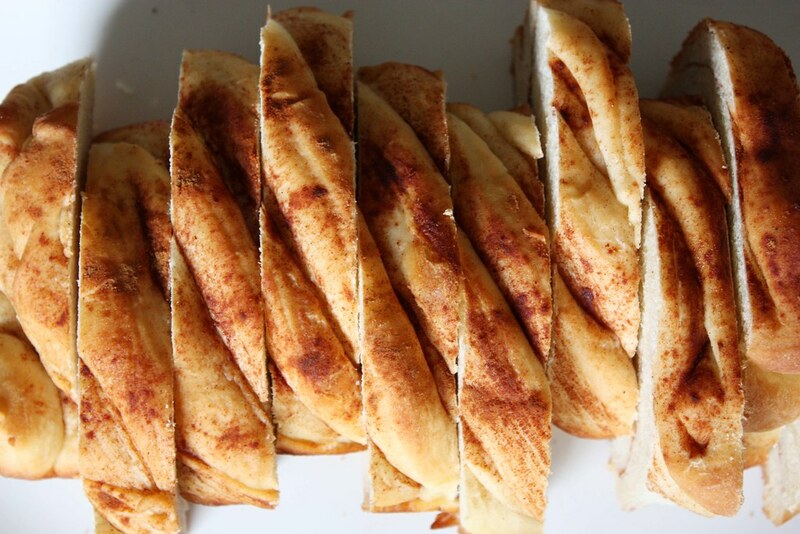 This time: Cinnamon Sugar Braided Loaf. And a very happy weekend to you all.